Year: 1951 Item #: 812 Views: 3,353 Comments: No Comments. 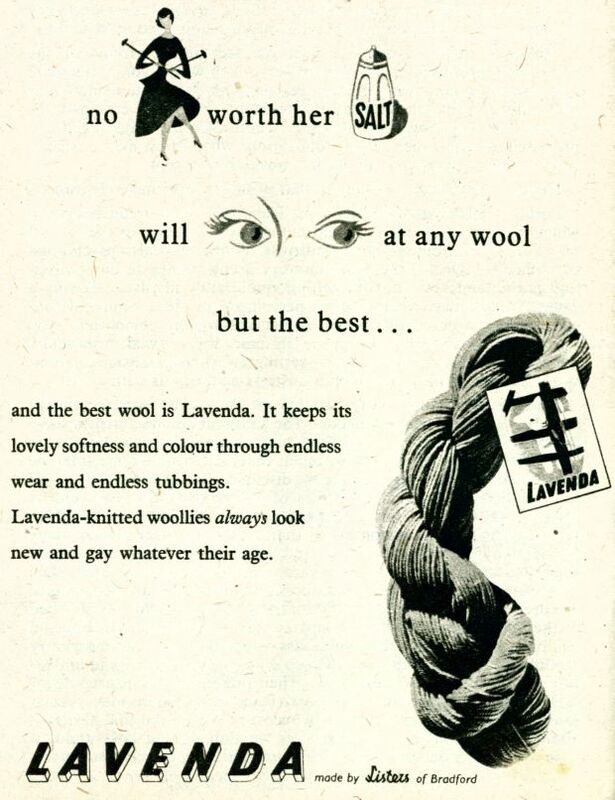 no woman worth her salt will look at any wool but the best... and the best wool is Lavenda, It keeps its lovely softness and colour through endless wear and endless tubbings. Lavenda-knitted woollies always look new and gay whatever their age.